Amaryllis belladona Hardy against a warm, not too dry wall and very, very lovely. 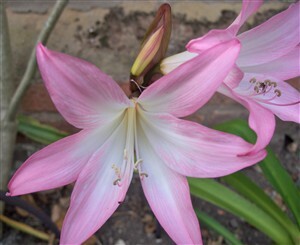 Big pink trumpets in Sept and October over glossy strap shaped leaves. Takes a year or two to get going, then wow!